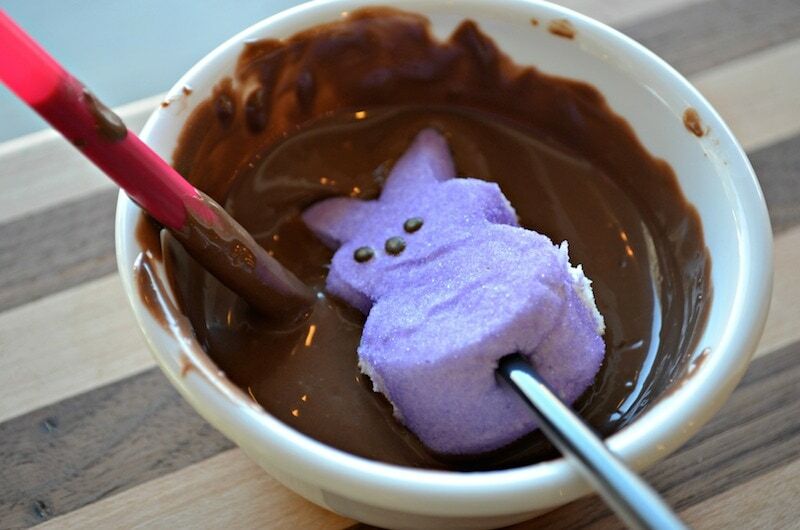 Melt your chocolate and stir until smooth. 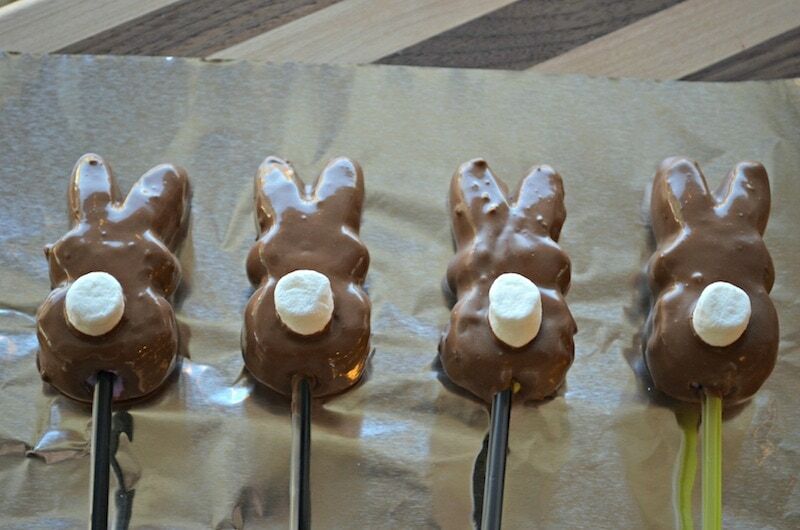 Push the straw into the bunny about half way. Make sure it doesn’t fall off. 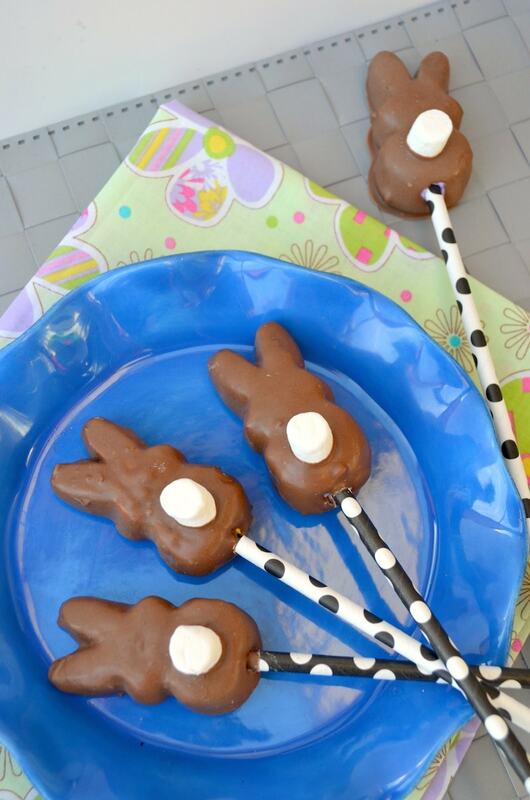 Dip the peep into the chocolate, twist until the entire bunny is well coated. Tap on the side of the bowl to allow excess chocolate to come off. Peel off foil and enjoy. So much fun, right? 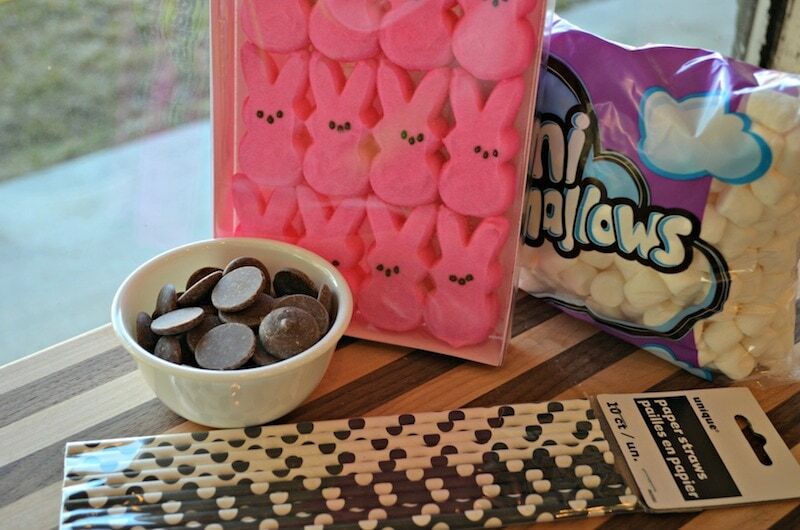 For more Easter posts, click here! !